Next to the irises, this is my favorite flower in the garden. 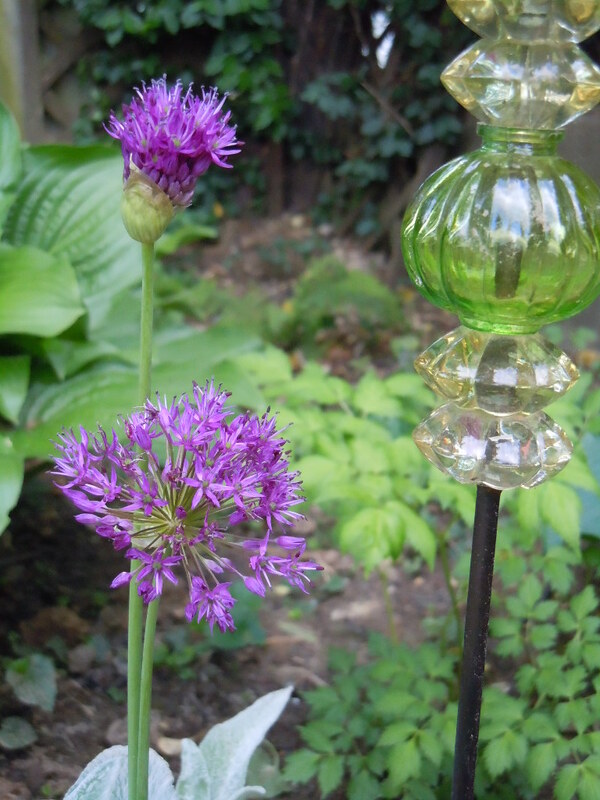 The Allium. Here’s the first two just starting to open. We will hopefully have white and yellow ones blooming this year. They are a very fragile flower though and each bulb only grows one bloom. The dogs trample them sometimes so we always lose a few before they open.